Deploy, scale, and manage your instances. Anywhere. Find out more about how Satellite can manage provisioning, configuration, drift, and reporting for all of your systems, from physical to cloud. Satellite is an on-premise alternative to trying to download all of your content from the Red Hat content delivery network or managing your subscriptions through the Customer Portal. From a performance side, it reduces hits to your network bandwidth because local systems can download everything they need locally; from a security side, it can limit the risks of malicious content or access, even enabling entirely disconnected environments. Satellite is composed of a centralized Satellite Server. Depending on your data center setup, organization design, and geographic locations, you can have local Capsule Servers, which are proxies that locally manage content and obtain subscription, registration, and content from the central Satellite Server. A network connection is needed to subscribe and enable repositories hosted by Red Hat. The system and environment must meet the prerequisites. Installation will take about 90 minutes. Find the subscription pool to use. Use the PoolId from the list command. Disable the default repositories to prevent conflicts, and then enable the specific Satellite 6 and RHEL repositories. This example uses Red Hat Enterprise Linux 7. # subscription-manager repos --disable "*"
There are a lot of different available configuration options with the Satellite installer command, depending on how you want to configure your environment. For more information, see Installing Satellite Server from a Connected Network. The Satellite UI is available by opening the server's hostname in a web browser. Unless something else was specified during installation, the default username is admin. Senior technical writer Dan MacPherson covers what Satellite 6 is, its basic topology, an overview of Capsules (provisioning service), how the discovery service works, and what's involved with Puppet. 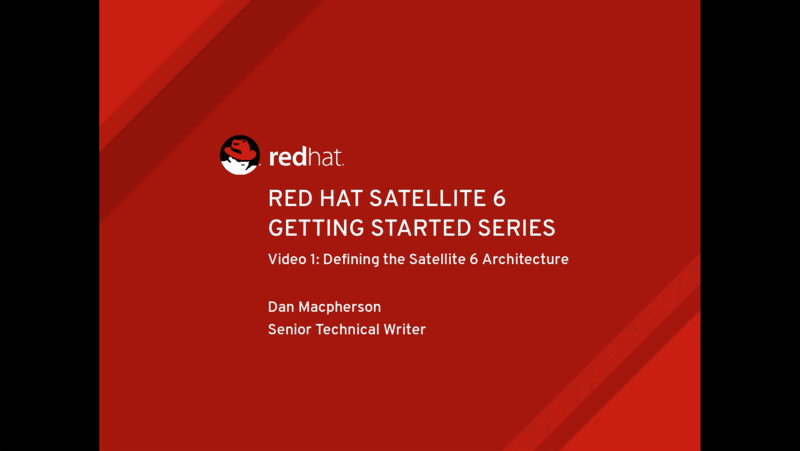 This video demonstrates how to install satellite from the command line, including the katello installer, puppet configuration, testing, installing Satellite 6 with DHCP, DNS, TFTP, and advanced installation options. This third video in the series covers getting and updating a subscription manifest, enabling and syncing repositories, and additional things to note about synchronizing content. In the fourth video in this series, Dan Macpherson discusses the application lifecycle, including custom content views and performing an errata content search. How do I register a system to Satellite 6? Walk through potential transition workflows and better understand how to migrate your environment. 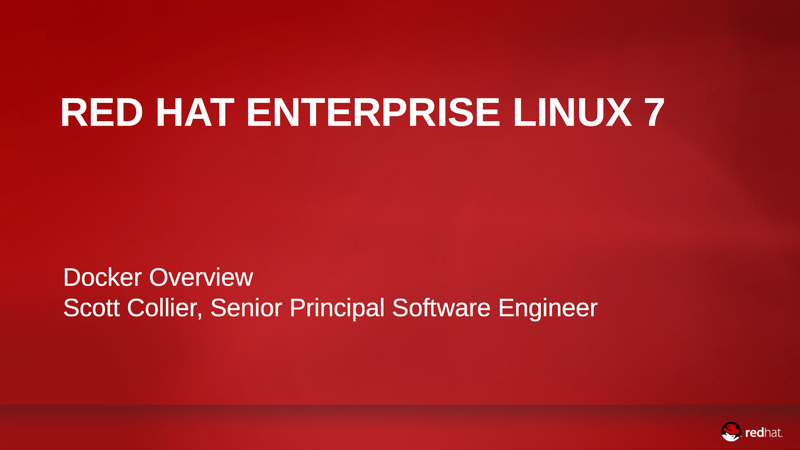 Optimize your Red Hat Enterprise Linux deployment with new intelligence. Gain the insight you need to boost efficiency, improve performance, and increase security across your datacenter. 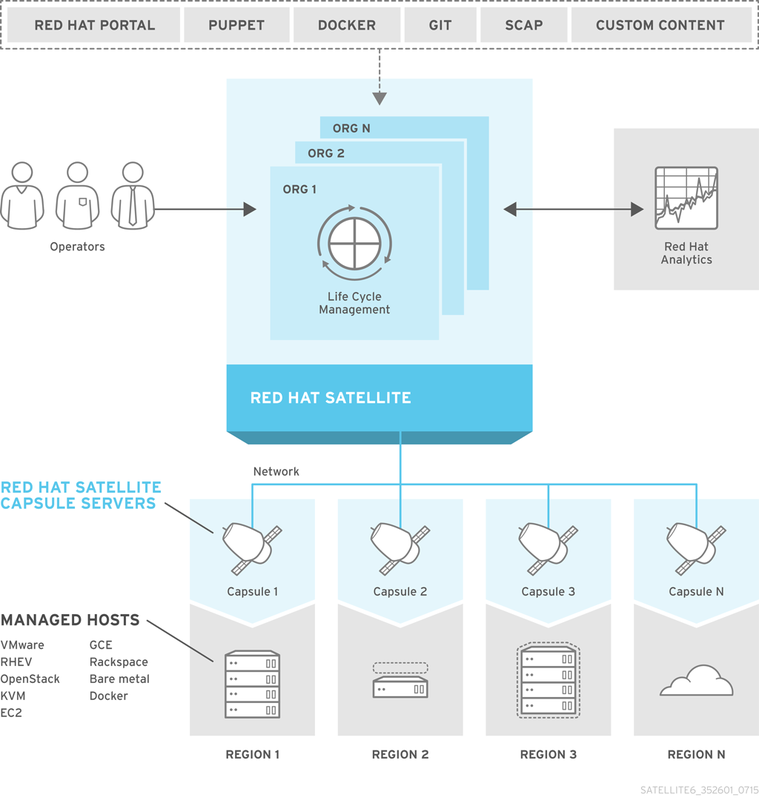 Red Hat offers subscription services for each major release of Red Hat Satellite throughout four lifecycle phases — called Production 1, 2, and 3, and an Extended Life Phase. A simple guide to registering Red Hat Enterprise Linux systems. Create optimal Kickstart configurations for Red Hat Enterprise Linux 5, 6, or 7 that are tailored to meet specific deployment goals.